Our domain expertise has enabled us to come up with an excellent collection of DMC Bush. Manufactured using high grade material, these products are widely demanded by our customers all across the world. Available in various sizes and dimensions, our product line is extensively used in electrical industry. Our experienced quality controllers thoroughly inspect these products on certain well defined parameters to rule out every possibility of defect. 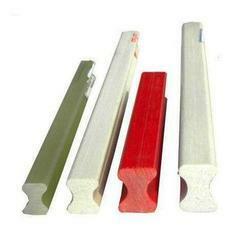 Being a customer focused organization, we are engaged in manufacturing, supplying, trading and exporting FRP Bush. These bushings are ideal for commercial and industrial sectors for electrical applications. We are offering this bush to our customers in a spectrum of specifications at most affordable price. Looking for DMC and FRP Bush ?